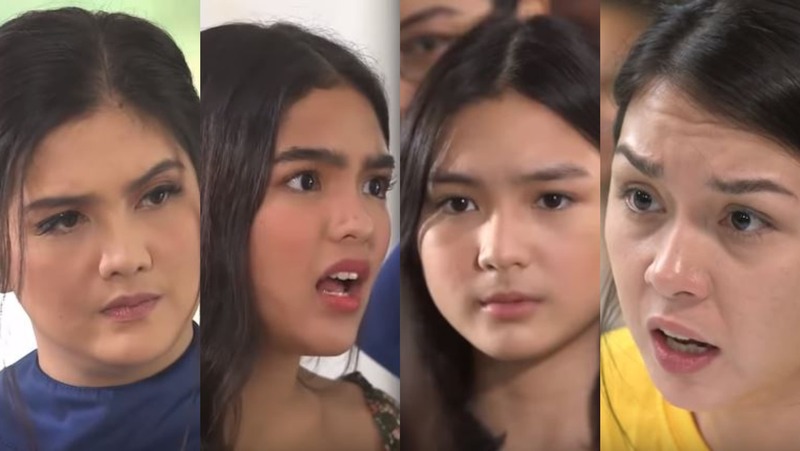 Viewers nationwide cannot get enough of the feisty catfights and fierce confrontations in “Kadenang Ginto” as it recorded a new all-time high national TV rating last Monday (March 18). The trending Kapamilya series hit a national TV rating of 23.5%, or almost double of its rival show “Inagaw ang Bituin” that only got 12%, according to data from Kantar Media. Aside from television, the series is also a hit on iWant as the current second most-watched program on the streaming service. It was an emotional and gripping Monday for viewers as the episode showed Daniela (Dimples Romana) slapping his young stepsister Cassie (Francine Diaz) after a heated encounter. But with the bruises inflicted on her after their bout, Cassie finally had the courage to fight for her right to stay in their mansion by reporting her sister to the police. Meanwhile, the netizens also shared their thoughts on social media and showed their support for the protagonists of the series. “This is what I love about Cassie she’s really smart and strong no matter what go cassie fight! Be strong,” said YouTube user Alexa RD. Cassie and Romina are fighters, I like it when the oppressed fights back. Go Cassie and Romina,” Facebook user Maritis Espada Casuela commented. “@DimplesRomana I do hate your character in Kadenang Ginto ang it’s making me love you more as an actress,” @KohtaLee tweeted. Don’t miss “Kadenang Ginto” on Kapamilya Gold on ABS-CBN and ABS-CBN HD (SkyCable ch 167). For more updates, log on to abscbnpr.com and follow @abscbnpr on Facebook, Twitter, and Instagram. What I don’t like earlier on the series was the plan of Romina to give all her share to Daniela. To me that is pakawawa effect. So I am glad she is suffering for trying to give everything to Daniela’s family. What is that ” kawawa effect. Ang drama.Why in the world will you give up your inheritance. That is kalukuhan. So ” naiinis ako kay Romina.